The first IVU manufacturer to be approved by the Transport Certification Australia is Transtech. Transtech’s in-vehicle units (IVUs) have been the first to receive the green light from national government body Transport Certification Australia (TCA) under its type-approval process for telematics providers. The TCA’s guidelines seek to provide transport operators with an informed purchasing choice and require products to meet a minimum standard of reliability, accuracy, integrity and security. 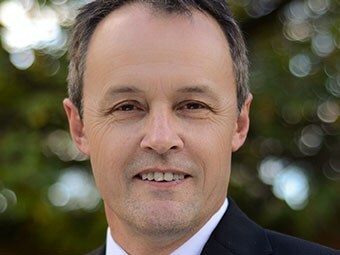 Transtech CEO Andrew Rossington says its IVUs, suitable for Intelligent Access Program (IAP) and On-Board Mass (OBM) markets, were designed with certification in mind. "Transtech’s IVU and its compliance-based applications, were part of its design specification and ensuring type certification was a primary goal," Rossington says. "Outside of the compliance market, the IVU provides a connection to speed monitoring, location management, engine management and on-board scales. Our customers gain surety in the quality and accuracy of the IVU. "Importantly, all of Transtech’s clients who have purchased one of our IVUs over the years now have the additional benefit that their existing IVUs are Type-Approved, ensuring compatibility with existing regulatory programs in which Transtech is certified," he says. The TCA has been seeking applications from telematics solution providers since 2013, when it launched its Telematics IVU Functional and Technical Specification. Last month, TCA CEO Chris Koniditsiotis highlighted the need for its scheme and confirmed approved units would be making their way to the marketplace. Transtech showed off its iFace in-vehicle tablet at the Brisbane Truck Show in May and updated its fatigue management platform for drivers and transport operators with Sentinel 4 in June.